Mustard Seed Keychain with real mustard seeds, cross and faith tag, Easter Gift, Mother's Day Gift, Gift for him, Gift for her. 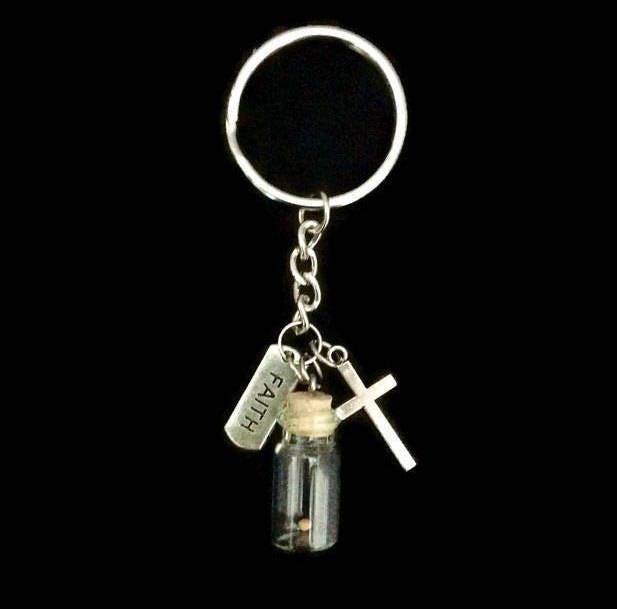 This keychain is perfect to carry with your keys as a daily reminder to have "Faith as small as a mustard seed." This is a fun and yet very meaningful keychain. 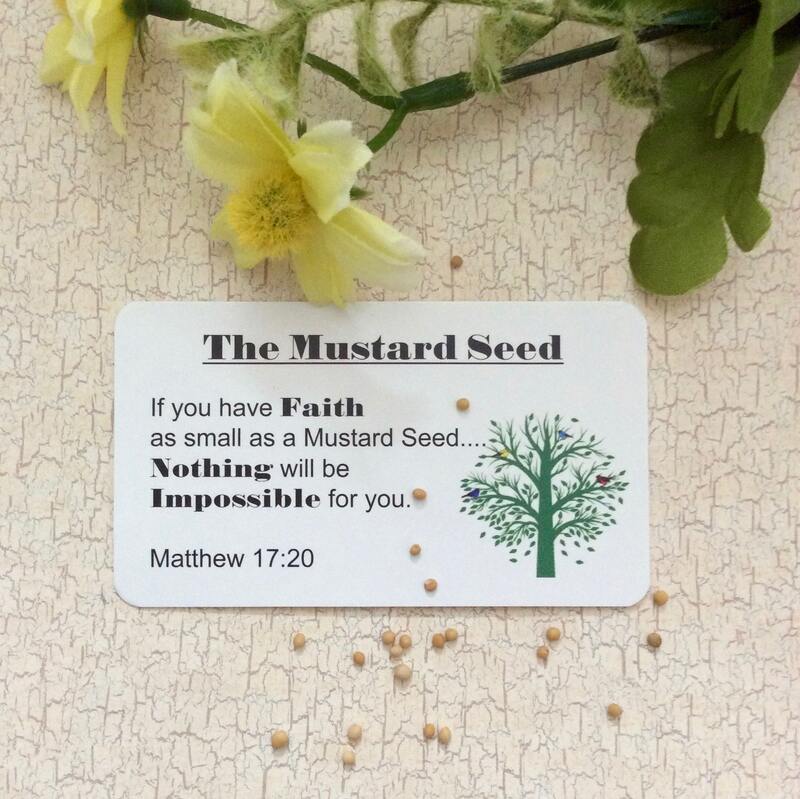 Bible verse Matthew 17:20 reminds us that "if we only have faith of a mustard seed, nothing will be impossible for you." 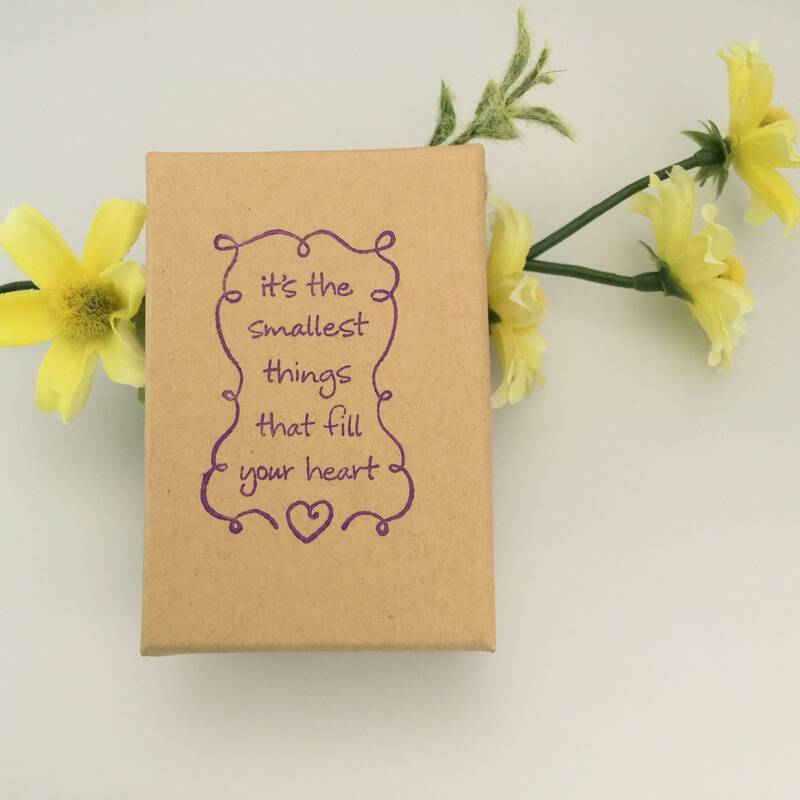 Just think of the possibilities we have if we only have the faith of a mustard seed. 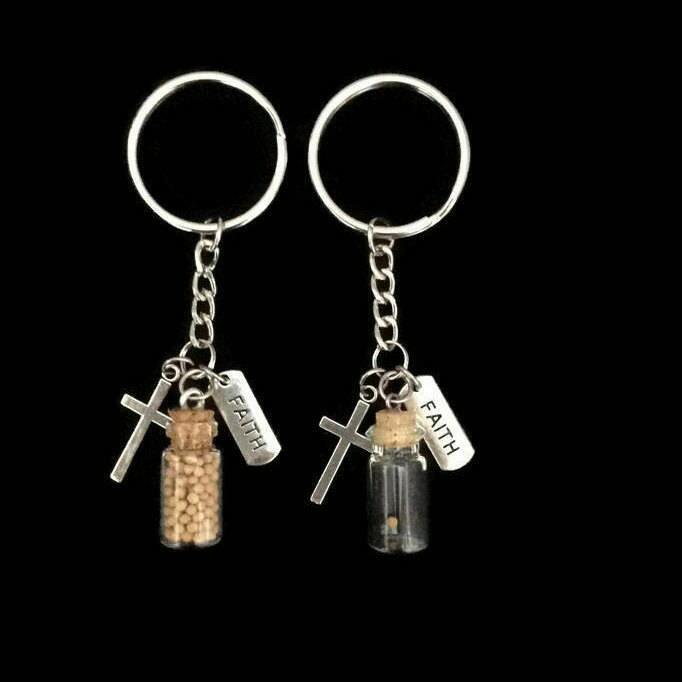 Choose the single mustard seed in the glass bottle, or a bottle full of mustard seeds. 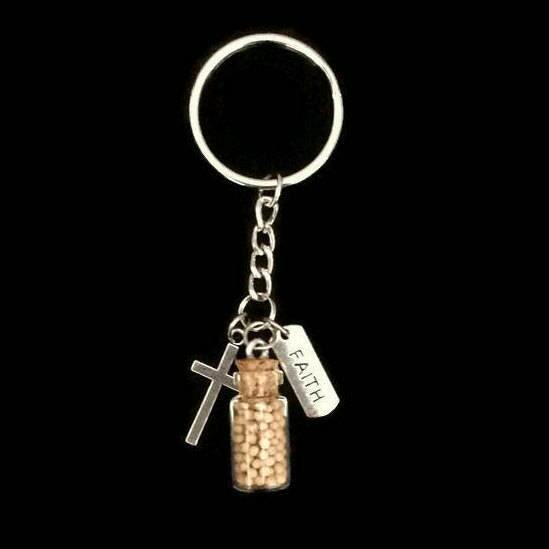 This keychain is larger than the necklace with a stronger glass bottle. 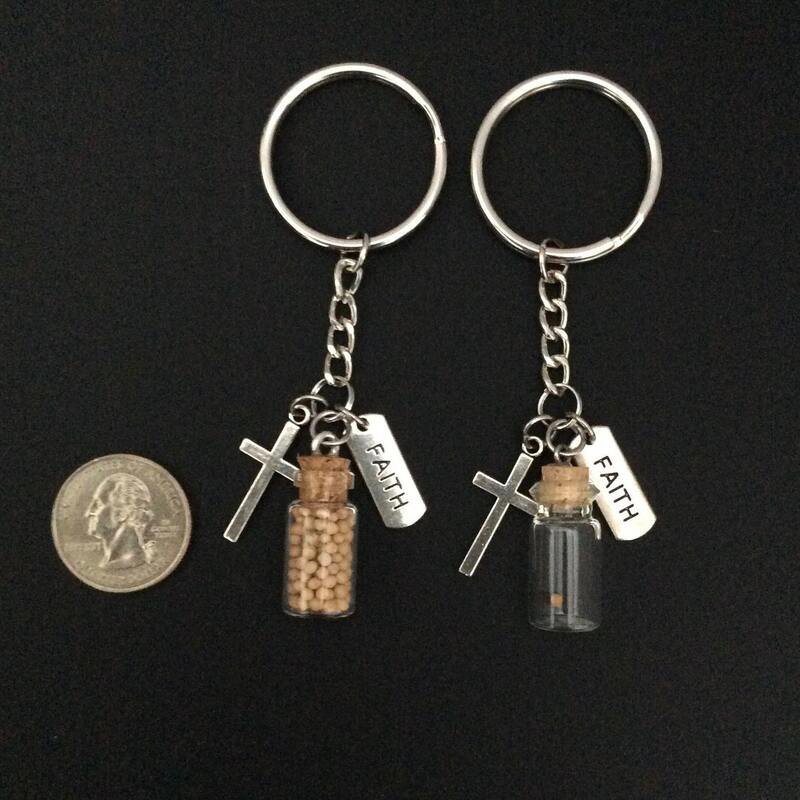 The mustard seeds are sealed inside the glass bottle, and the bottle is approximately one inch in length with a silver cross and faith tag attached on the keyring. The ring that holds your keys is 1 1/4" around with the total length of the keychain from top to bottom just over 3 1/2" in length. 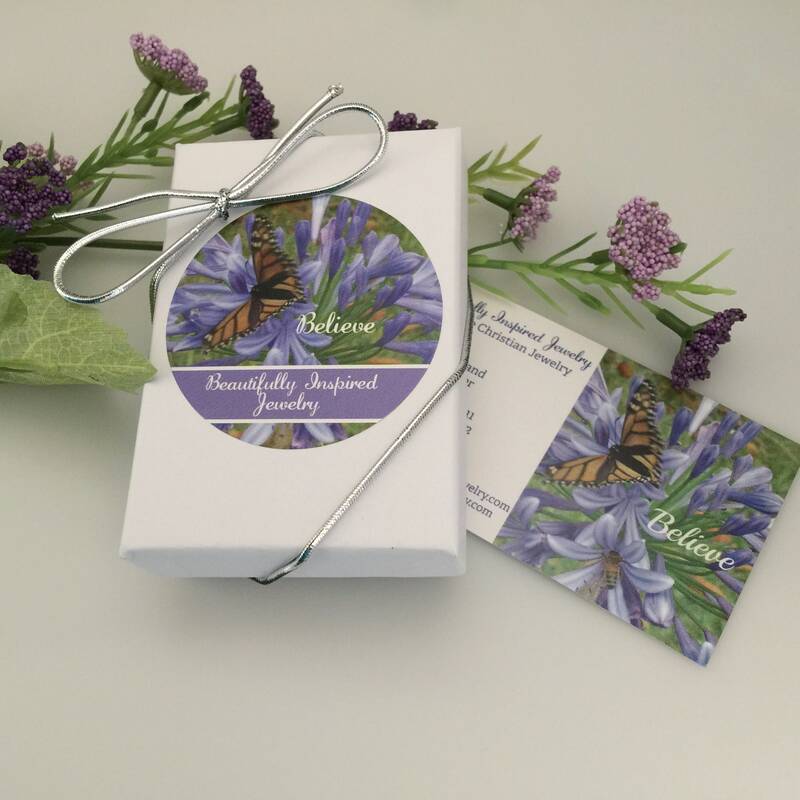 The keychain comes inside a gift box of your choice of elegant (white) or Natural (kraft), along with a keepsake card with scripture Matthew 17:20 that explains the "Faith of a Mustard Seed". This keychain bottle is made of a heavy glass which is strong for normal use, however, it is not recommended for children under the age of 13. It is also water resistant to a splash of water or rain, but it is not waterproof, so it should not be submerged in water or while swimming. I use mine on my keys and my mom wears the one I gave her on her necklaces or other creative ways. She and I both get a lot of compliments! My Bible study group was talking about mustard seeds this morning and I showed mine off - I’m sending them to you so I know they’ll get the best! Beautiful, exactly as expected. Shipped on time.